I love this gorgeous poinsettia image. Using my MISTI I stamped it in brown Versafine ink on water colour card, coloured it with Zig water colour brushes and a clear spectrum noir brush - such a shame you can't see all the sparkle - it's so pretty. 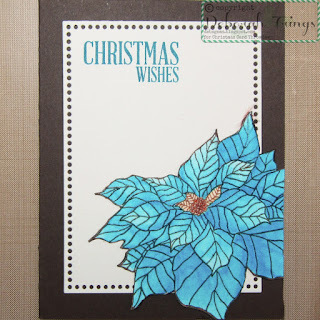 Once completely dry, I put the image back in the MISTI and stamped it again, added clear embossing powder and heat set it. I like doing this as it gives really clean, crisp lines. I then fussy cut the flower. 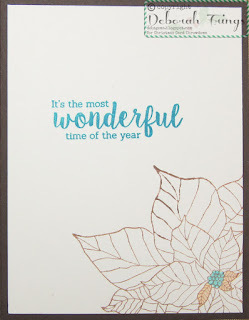 I created the base from dark brown card and die cut a panel of cream card using the dotted die. I added a simple Christmas greeting at the top of the panel. 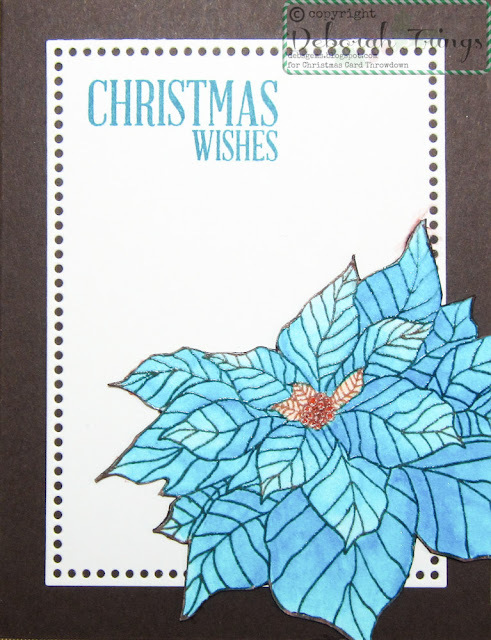 On the inside I cut another panel of cream card on which I stamped the outline poinsettia again, adding just a touch of colour to the centre. I finished with a Christmas message. 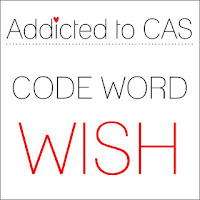 I'm submitting this card to the new challenge at Addicted to CAS - ATCAS#103 where the cue word is WISH - well, I've got wishes, but that should be okay. So glad my mojo is back! Don't forget to visit Christmas Card Throwdown to see more inspiration cards from the rest of the Design Team - they have made such lovely cards. 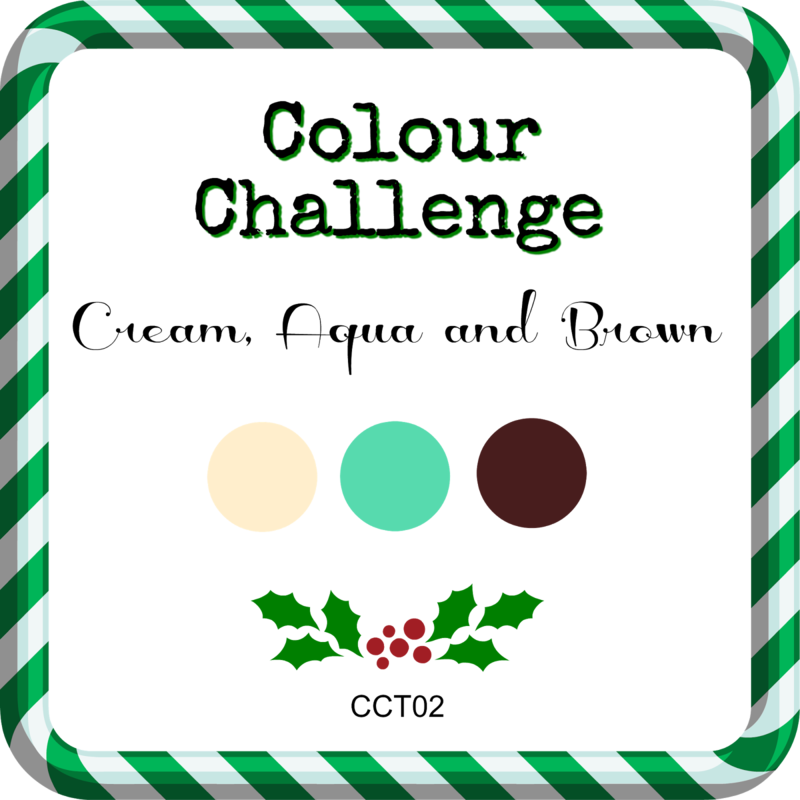 You've got plenty of time to join the fun - deadline for submission is midnight (GMT) Friday 3rd February - that's 7.00pm EDT. I love this stamp and it looks great in blue! So beautiful, Deborah. Love the blue. 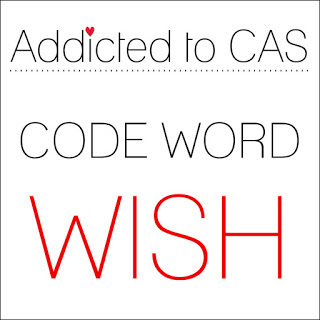 Great take on the codeword. 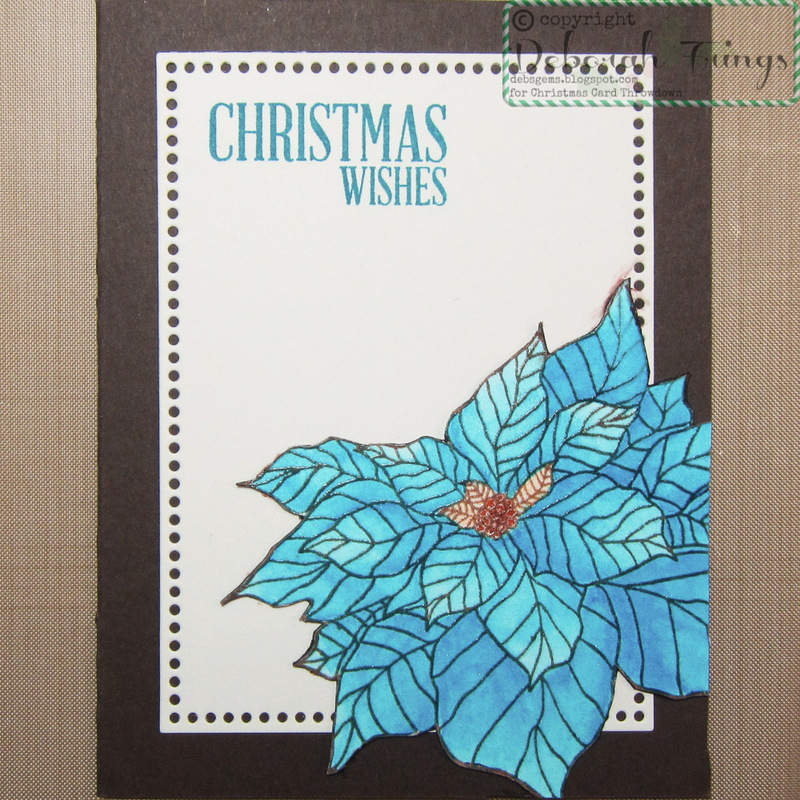 Love the blue poinsettia...what a beautiful card! Great take on the codeword love the blue poinsettia. Thanks for joining us over at ATCAS. That flower is just amazing. 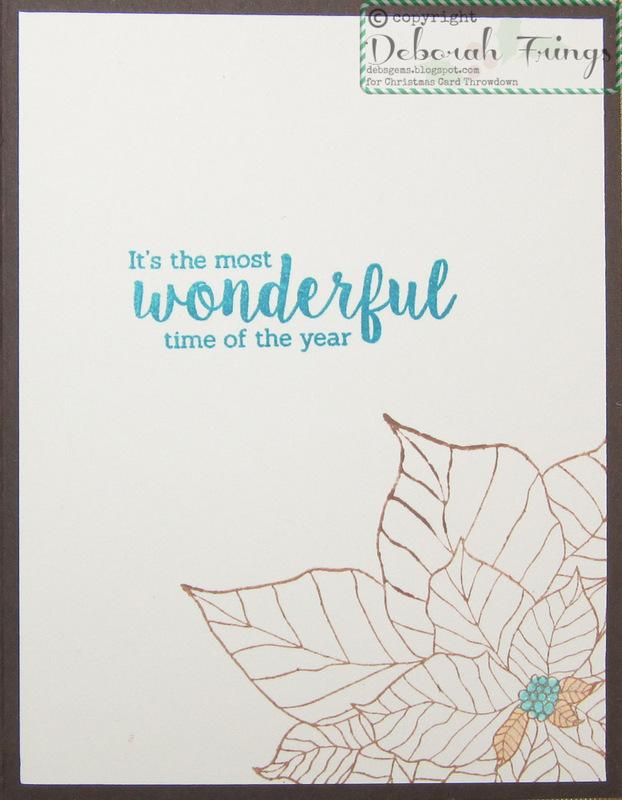 I love how your card is so thoughtfully detailed...and you don't have to apologize for being late ever...you do some many wonderful things for CCT. That's a great way to use the aqua. Your flower is gorgeous. Your poinsettia is a real eye-catcher, Deborah!